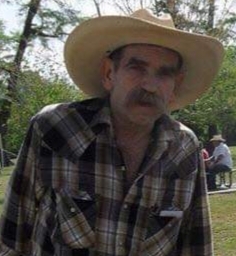 Danny Ray Cutchall, age 63, of Drasco, Arkansas passed away April 1, 2019 at White River Medical Center in Batesville, Arkansas. Born October 25, 1955 in Texarkana, Arkansas he was the son of the late Emmitte Cutchall, Sr. and Marie Mayton Cutchall. He was employed before retirement as a crewboat captain for Crewboats, Inc. He was a very generous, good man with a good sense of humor. Danny enjoyed horseback riding, hunting and fishing and cooking for his family. He dearly loved his family and grandchildren. Survivors include two daughters, Chrystal Weaver and husband Frank of Drasco, AR and Danielle Smith and husband Chad of Drasco, AR; one son, Matt Trammell of Mountain View, AR; two brothers, David Earl and Gary Cutchall both of Louisiana; five sisters, Gail Lejune and husband Larry, Sandra Ranches and husband Danny, Paulette Helmer and husband Morris, Sonya Creppel and husband Ray and Teresa Kolder and husband Patrick all of Louisiana; eleven grandchildren and two great-grandchildren and many friends. A Celebration of Life Memorial Service will be held 2:00 PM, Saturday, April 13, 2019 at Friendship Church in Drasco, Arkansas. Arrangements are by Heber Springs Funeral Home.